While you’ve got plenty of zucchini and while we’re still got warm weather, this salad is light and refreshing, quick to make, and you probably have most of the ingredients on hand. Serves 4-6 from NY Times Cooking. Slice the ends of the zucchini. Julienne with a large knife, spiralizer, mandoline, or julienne tool. Transfer to a large bowl. Season generously with salt and pepper. Add lemon zest and juice and toss well. Set aside for 10 minutes. Add yogurt and toss to coat well. Taste and adjust seasoning. Add chopped herbs and mix gently. Garnish with feta and pine nuts. Serve and enjoy! 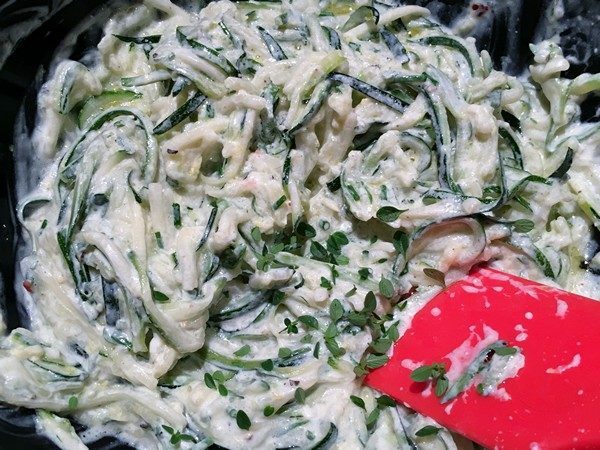 My verdict: Even if you think you’ve had enough zucchini, this will change your mind! 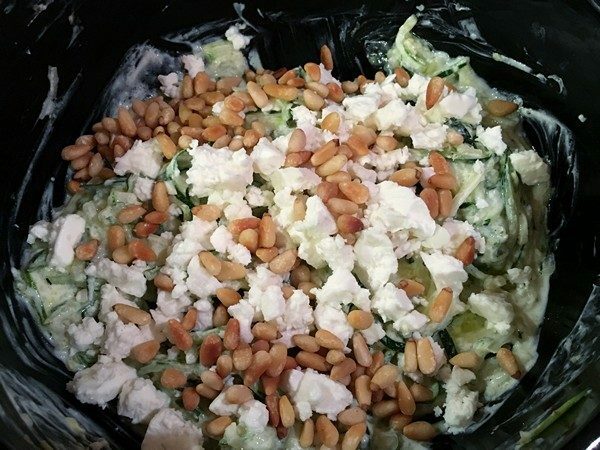 It’s a simple summer salad that comes together quickly and is a delicious change from the other thousand ways you’ve made zucchini this summer. Don’t panic if you don’t have sorrel, it’s a lovely lemony flavored herb to have in your garden, but you could substitute some more mint, a little oregano or thyme and be perfectly happy. 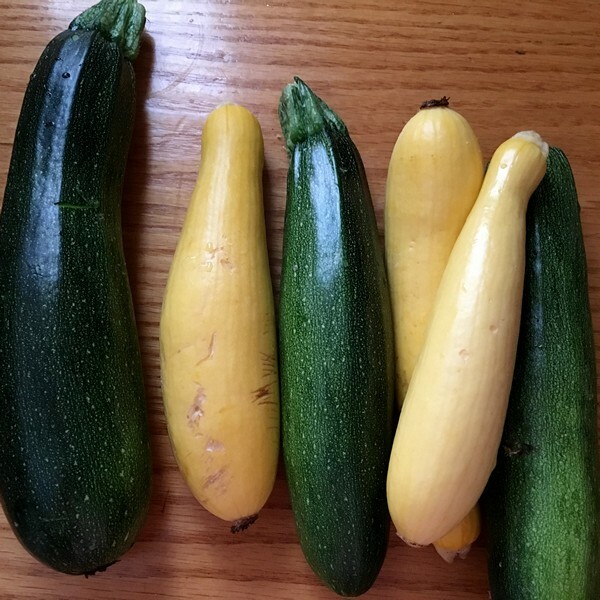 Do panic if you don’t have small zucchini or summer squash or you’ll have a very watery salad. A mix of yellow and green squash will give it some nice color. You could even toss in some julienned cucumber for a differernt sort of crunch. My guest for dinner the night I made this, quickly finished it off and they’re not the most adventurous eaters. So, give it a try and it may actually make you wish for more zucchini. What do you think? 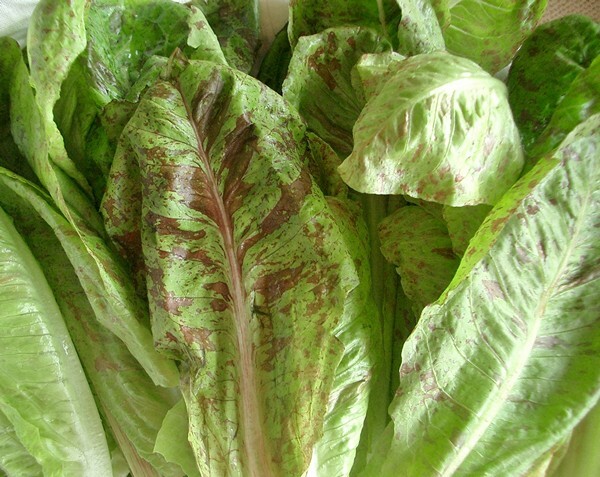 At the CSA pick-up recently, one of the things Frank brought home was a beautiful head of escarole. It’s something I always like, both cooked and raw, but tend to avoid because it needs careful washing and sometimes I’m just not in the mood (you know what I mean?). Soak onion in a small bowl of ice water at least 30 minutes (you can do this while the escarole is soaking). Drain and pat dry. Whisk crème fraîche, oil, lemon juice, and vinegar in a large bowl. Add escarole, capers, and drained onion; season with salt and pepper and toss to coat. Top salad with horseradish and season with more pepper, serve and enjoy! My verdict: This escarole salad was made for dinner with friends. Because there wasn’t a scrap left, it proved to be a big hit. Super simple and really delicious! While the summer may be peak time for escarole, it’s not for fresh horseradish, which becomes a small problem. Imagine how much better this could be with the punch you’d get from fresh (or fresher than what I had) horseradish! Instead of soaking the onions (which I do a lot these days with raw onions) I had made some pickled red onions and used those instead. The dressing I made separately so I could do it ahead of time. Check it for taste, remembering that it’s going on bitter greens so you might want to add a bit more crème fraîche and adjust the horseradish accordingly. It’s a great dressing and would work well on a lot of different greens. 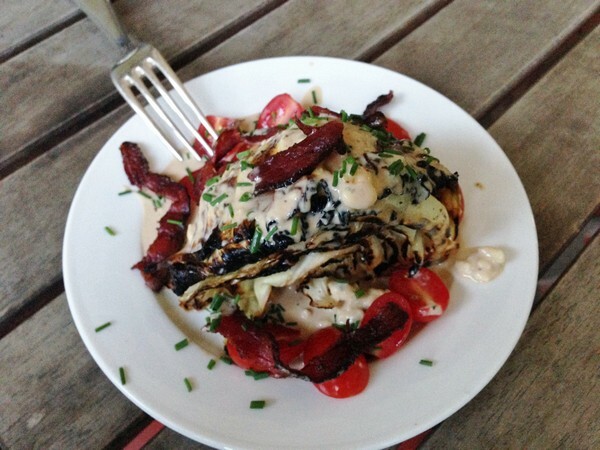 Grilled radicchio anyone? Who knew I’d fall in love with a pineapple salad? Last week I conned my bestie into taking a Cambodian cooking class with me at Brooklyn Kitchen. The Accidental Locavore did it mostly because I had no clue what Cambodian cooking was all about. It’s like its neighbors Vietnam, Thai, Laos, and uses the five tastes that are essential to that part of the world – sweet, bitter, sour, salty and umami. 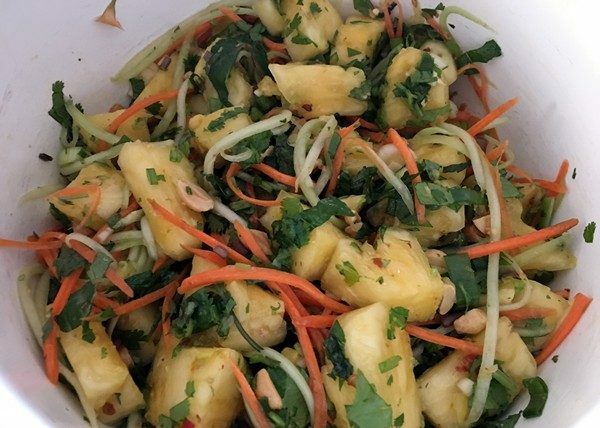 One of our favorite dishes was this pineapple salad. It makes a big bowl of salad, depending on the size of your pineapple. Place all the salad ingredients in a large bowl. To make the dressing, put all the ingredients in a small container with a (tight) lid. Shake to combine. Taste and adjust the lemon, fish sauce and chile to taste. Pour over the salad, toss, serve and enjoy! I guess it’s time to change (or open my mind) about sweet ingredients with savory ones. 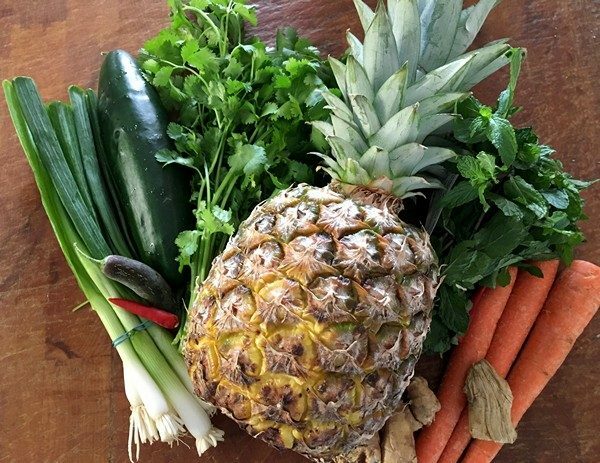 This pineapple salad is a perfect example. It’s not something I would normally make, but it was my favorite dish of the class! The dressing would be good on all kinds of things, like chicken, fish or shrimp. As a matter of fact, everyone at my table thought the whole thing would make a wonderful ceviche! You can add or remove almost any ingredient. I’d add basil, especially Thai Holy Basil if I came across some. The salad we had in class had red and green peppers, I’m not a huge fan, so left them out of my version. Mango could easily replace the pineapple–you get the idea. Have fun! I made it and brought it to a Slow Food Hudson Valley meeting and everyone loved it, guess this is a keeper. Lime, turmeric, ginger – got a couple of superfoods in this salad dressing, so it might actually be good for you. And Zagat’s has named turmeric “this year’s trendiest superfood“. The Accidental Locavore had some cilantro that wasn’t going to last much longer so I gave this recipe from Ottolenghi via bon appétit a shot. Since everything ends up in a food processor, your chopping doesn’t need to be picture perfect. 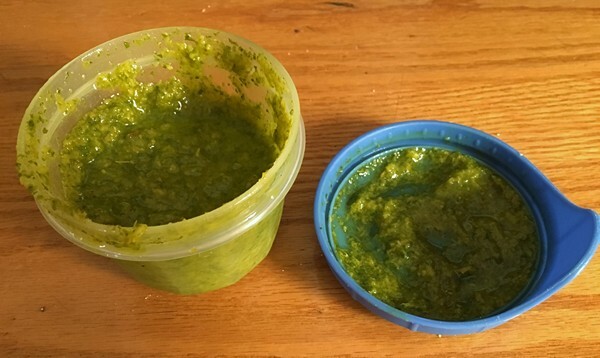 Put the turmeric, ginger, garlic, cilantro, lime zest and juice and some of the jalapeno into the food processor, pulse until finely chopped. With the motor running, slowly add the olive oil. Taste and add salt and more jalapeno as needed. Serve over your favorite greens and enjoy! My verdict: Not love at first bite. Tried the lime turmeric salad dressing on some heirloom tomatoes and then on some local lettuce and was, frankly, underwhelmed. The original recipe called for a whole jalapeno and this time I was playing it safe. I ended up using about a quarter of a pretty big and spicy one, so unless you’re a heat freak (and/or you know how hot your chile is) err on the cautious side with this. I think turmeric is an acquired taste. Good in small doses when it blends with other spices. It gave the dressing a slightly soapy taste and adding more lime juice didn’t perk it up. The original recipe called for fresh turmeric (4” piece peeled and chopped) and that might make a difference, but turmeric is hard to come by in my ‘hood. Are you able to find it by you? And have you ever used it? It’s Labor Day and I’m not laboring. 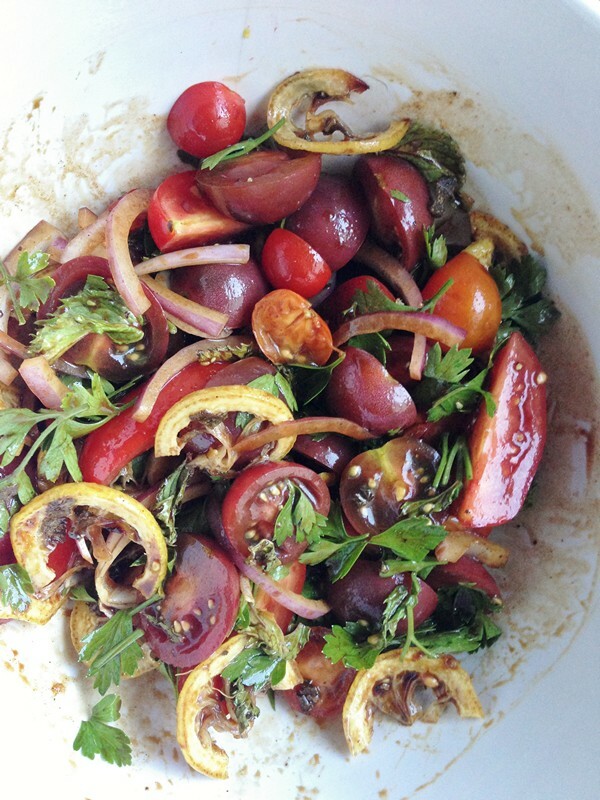 Take advantage of some great tomatoes and try this summery salad from an earlier post. Sometimes, looking at the availability of good ingredients, you wonder about the timing of cookbooks. The Accidental Locavore tried to get a reviewer’s copy of the upcoming Plenty More (due out in October) and was turned down. Preheat oven to 325°. Cook lemon slices in a medium saucepan of boiling water 2 minutes to remove bitterness. Drain and pat dry. Toss lemon slices with sage, sugar, and 1 tablespoon of the olive oil in a medium bowl. 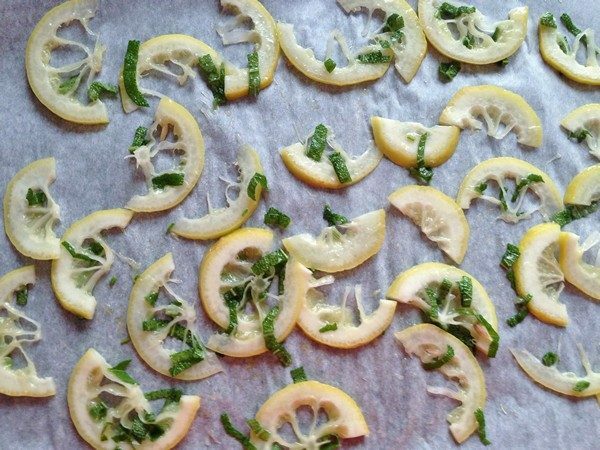 Spread out on a parchment-lined baking sheet and bake until lemons are dry and starting to brown about 15–20 minutes. Let cool. Whisk pomegranate molasses, allspice, and remaining 1 Tbsp. oil in a large bowl; season with salt and pepper. Add lemons, tomatoes, onion, parsley, and mint. Toss gently; season with salt and pepper, serve and enjoy! My verdict: A great change from tomatoes and mozzarella, it’s light and refreshing, with a nice tang from the lemons and pomegranate molasses and it might be the easiest salad dressing on the planet! 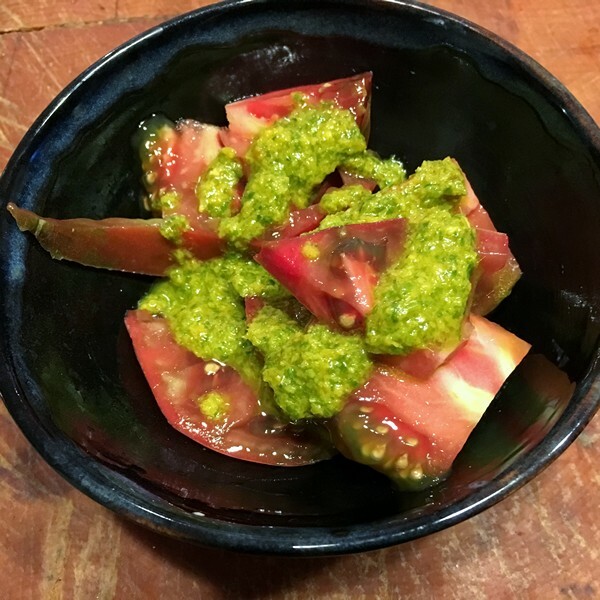 My pomegranate molasses will be getting a lot more use from now on – it was great with the tomatoes and mint. I also really liked the roasted lemon slices and saved some to toss in with my usual lunch salad. Next time, I’ll roast a couple of lemons at the same time and keep them in a Ziploc bag in the fridge for future use – they’d be good with a chicken too. Mint would also go well if you didn’t have any sage. My husband thought the lemon slices would be better cut in half, but I liked them as is. Potato salad is a summer staple. Cut the potatoes in half, or quarters if they’re large. 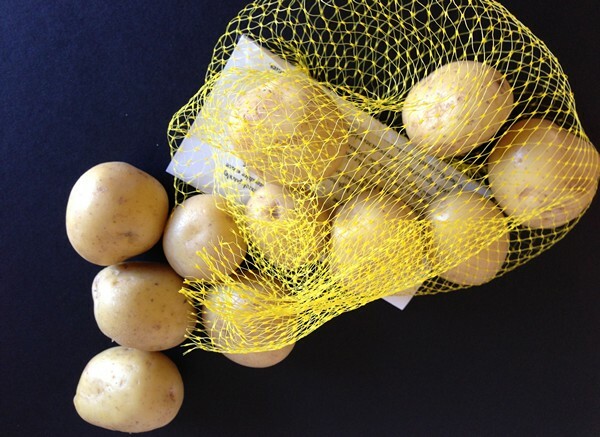 Put potatoes in a large pot with enough salted water to cover by 1”. Bring to a boil over medium-high heat and cook until potatoes are just tender, about 15 minutes. In a bowl, whisk together lemon juice, salt and olive oil. 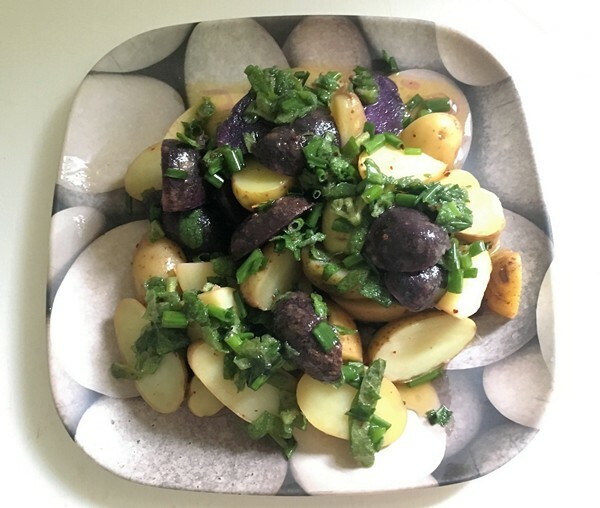 Transfer hot potatoes to a large bowl and toss with dressing, scallions, mint and Turkish pepper. Let cool to room temperature. Just before serving, top with additional lemon juice, scallions, mint and Aleppo pepper. My verdict: Easy and good! Will they take the place of the French potato salad? Probably not, but how can you compete with bacon (and bacon fat)??? If you don’t have Aleppo, or ¼ teaspoon of some exotic pepper (because it’s soooo worth it to go out for 1/4 teaspoon of anything), just use freshly ground black pepper. Other herbs to consider would have to include sage, rosemary and tarragon – essentially anything fresh. I always cut the potatoes before boiling. It saves time, both in cooking and in waiting for them to cool enough to cut. However, you must start the potatoes in cool water. Otherwise they’ll never cook evenly all the way through and especially with potato salad, you don’t want them mushy on the outside. What’s your favorite potato salad? 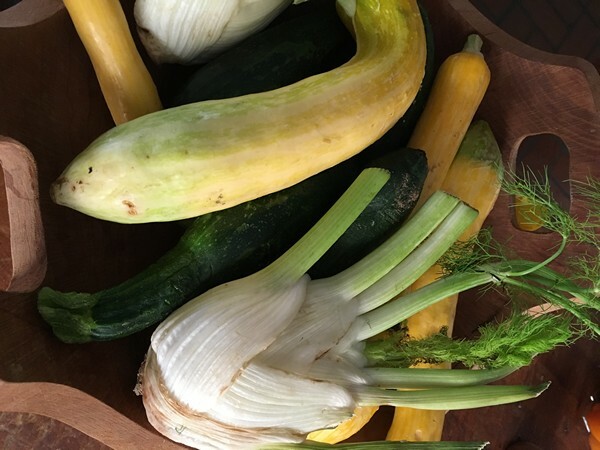 Faced with a pile of summer squash and fennel and requested to bring a salad to a recent party, the Accidental Locavore went trolling through a pile of cookbooks, hoping to find all the squash and/or fennel recipes that might have been saved for warmer months. In Ottolenghi’s Plenty More there was a recipe for courgette (not to brag, but I have a signed British copy) and fennel with saffron crumbs. Being lazy, this was more of a riff on the original. Serves 4. Preheat your grill (or grill pan, if apartment bound) on high heat. In a medium pan heat the oil over medium-high heat. When the oil is hot, carefully add the garlic and breadcrumbs. Fry for about a minute until golden brown. Remove with a slotted spoon and let cool on paper towels. Sprinkle with salt. 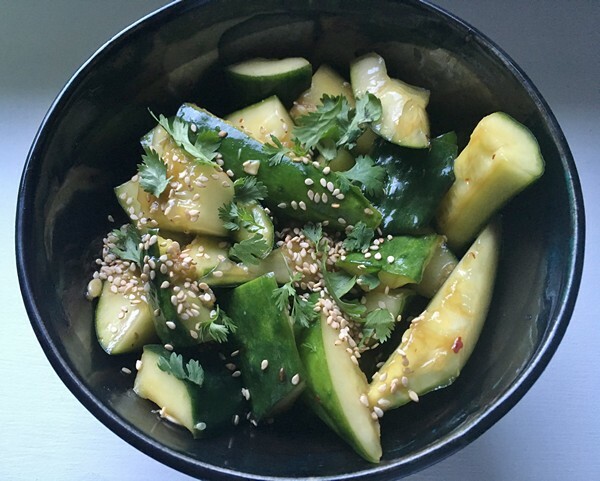 In a large bowl, toss the summer squash and fennel with 1 tablespoon of the olive oil, salt and pepper. Grill until both sides are nicely charred, about 6 minutes a side for the fennel, less for the squash. 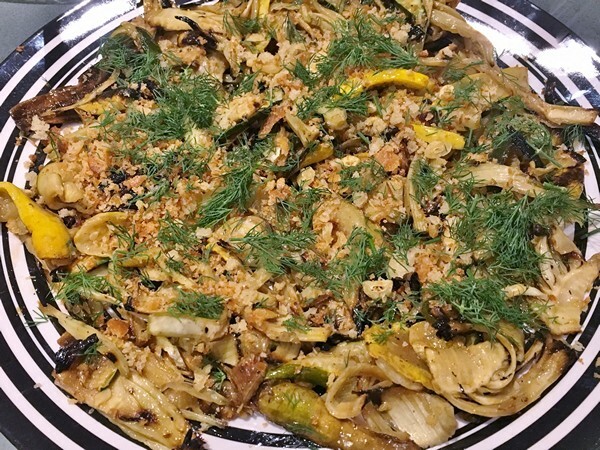 Put the summer squash and fennel back in the large bowl. Add the lemon juice and remaining 1 tablespoon olive oil and toss gently. Let marinate for about 15-20 minutes. Plate the vegetables on a large platter, sprinkle with the dill. Top with the breadcrumbs, serve and enjoy! My verdict: Not really my verdict this time…even though I doubled the recipe, I should have made more. It disappeared quickly at the party and one of my friends confided that she’d had three helpings! 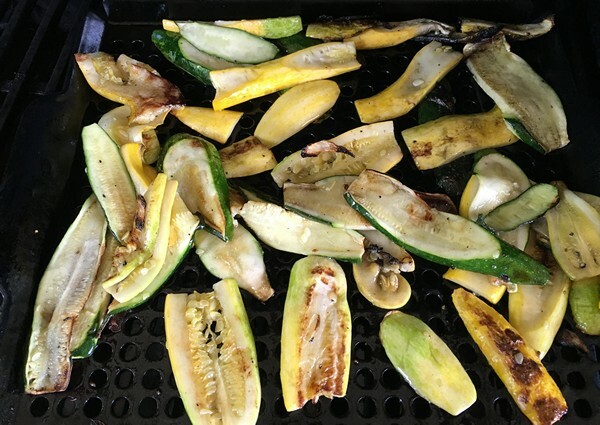 Because it needed to travel, I grilled the fennel and squash (a mix of summer squash and zucchini) separately and marinated them overnight. Put it together with the dill and breadcrumbs at the party. If you’re off to a pot-luck or picnic, this is a perfect dish to make. It travels well and doesn’t need to be hot or cold – all good in the summer. I cut all the squash lengthwise and then in half because it seemed to be easier to deal with at a buffet. Slicing and grilling some Japanese eggplant I had crossed my mind, but then I decided to keep it simple. From what (little) I ate, it could have used a little more dill and breadcrumbs, but still a big hit! What do you do with cucumbers? Like zucchini, cucumbers are a CSA staple. However, there seem to be a lot fewer things to do with cucumbers. Make cold cucumber soup (here’s a delicious recipe). Gazpacho. The Accidental Locavore found this smashed cucumber salad recipe on the NY Times Cooking site and has been saving it for the reappearance of cucumbers. It’s easy and serves 4-6 as a side dish. About 2 pounds thin-skinned cucumbers like English or Persian (8 to 10 mini cucumbers, 4 medium-size or 2 large greenhouse), washed and patted dry. Cut the cucumbers crosswise into pieces about 4” long. Cut each piece in half lengthwise. On a work surface, place a piece of cucumber (or several) cut side down. Lay the blade of a large knife flat on top of the cucumber and smash down lightly with your other hand. The skin will begin to crack, the flesh will break down and the seeds will separate. Repeat until all the cucumbers are smashed. Break or slice diagonally into bite-size pieces, leaving the seeds behind. Place the cucumber pieces in a strainer and toss with a big pinch of salt and a big pinch of sugar. Place a Ziploc bag filled with ice on top of the cucumbers to serve as a weight and place the strainer over a bowl. Let drain 15 to 30 minutes on the counter, or in the refrigerator until ready to serve, up to 4 hours. 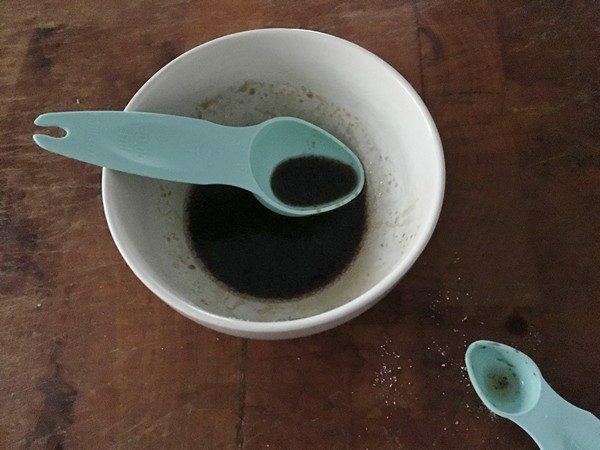 Make the dressing: In a small bowl, combine salt, sugar and rice vinegar. Stir until salt and sugar are dissolved. Stir in sesame oil and soy sauce. When ready to serve, shake cucumbers well to drain off any remaining liquid and transfer to a serving bowl. Drizzle with olive oil and toss. Add half the dressing, half the garlic and the red pepper flakes to taste, and toss. Keep adding dressing until cucumbers are well coated but not drowned. Taste and add more pepper flakes and garlic if needed. Serve garnished with cilantro and sesame seeds and enjoy! My verdict: Who wouldn’t have fun smashing cucumbers for a salad? Until you find that there are cucumber seeds all over the kitchen (and the dog won’t have anything to do with them). This was really good and a perfect summer side dish. 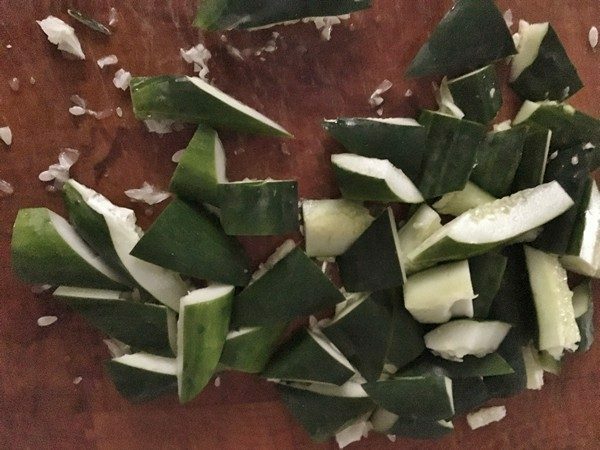 If you don’t have thin-skinned cucumbers, cut the smashed pieces into small bits. After tasting it a few times, I just tossed all the garlic (only one large clove) and dressing into the salad. Just go easy with the red pepper flakes, until you find a good balance. Next time I make this, I might smash some Sichuan peppercorns in place of the red pepper flakes and bash the cucumbers in the sink (since I hate cleaning floors). Even toasted, the sesame seeds got lost in the salad, but the cilantro was a nice touch. Do you think this is something you’d try? Start your summer off in a great way! This grilled Caesar salad has become part of the Accidental Locavore’s summer repertoire. It’s really easy and if you want to make it even easier, you can use your favorite bottled dressing (but don’t, the dressing is easy and super-delicious!). In the work bowl of a small food processor (I use a Cuisinart mini-chopper) put the mustard, egg yolk, garlic, anchovies, lemon juice and Worcestershire sauce. Process until smooth. Add a few tablespoons of the oil and process until well combined. Add the rest of the oil, again processing until smooth. You want it to be the consistency of a thin mayonnaise. Taste and add salt and pepper and more oil if necessary. With a pastry brush, brush the romaine quarters with the dressing on all sides, making sure to get it between the leaves. Lightly grill the lettuce on all sides, about 15 seconds on the back (leaf side) and 20-25 seconds on each side, until it starts to brown. Brush with the remaining dressing, sprinkle with the Parmesan cheese, cover and grill for about 30 seconds until the cheese has started to melt (you want to cook the leafy side (the back) a little less than the sides, so that when you put the cheese on to melt you’re not burning it). Serve and enjoy! My verdict: this was a surprising hit! 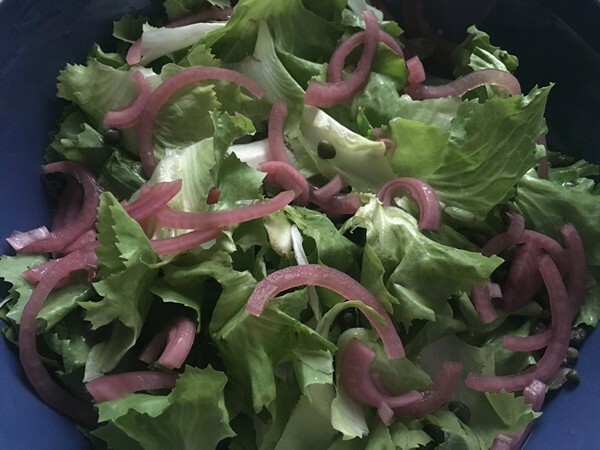 Recently, there have been lots of recipes for grilling salad, but I was a little skeptical…who needs to cook lettuce, when it’s so good cold and crispy? We made this for friends for dinner and it was so good, we went back out, bought more romaine and made it the next day for lunch. There is something so good about the warm, almost charred outsides and the cool, crispy interior. Definitely worth a try! 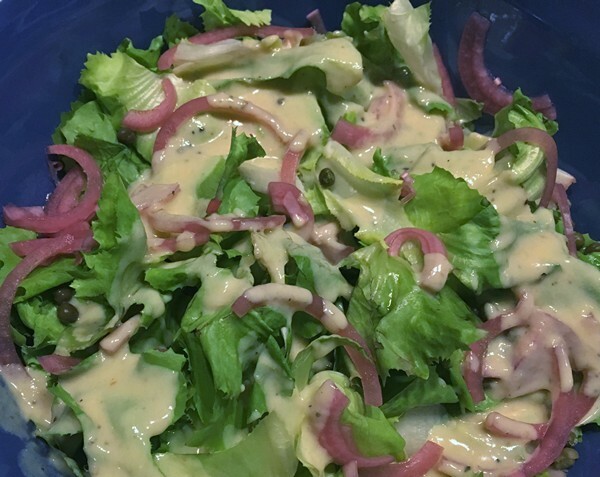 Surprisingly, for someone who doesn’t like anchovies, I usually find myself adding more to the dressing. You could toss on some croutons, but you probably won’t miss them. Also, now that we make this a lot, we generally just sprinkle the Parmesan on top when we serve it. 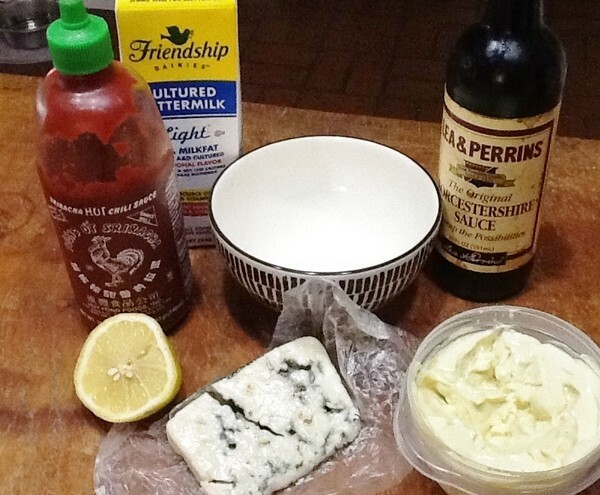 Make the dressing: In a small bowl, mash the blue cheese with a fork. Add the mayonnaise, Worcestershire sauce, buttermilk, lemon juice, Sriracha, and a pinch of salt and black pepper. Stir to combine. Make the salad: Position a rack in the center of the oven and heat the oven to 400°F. 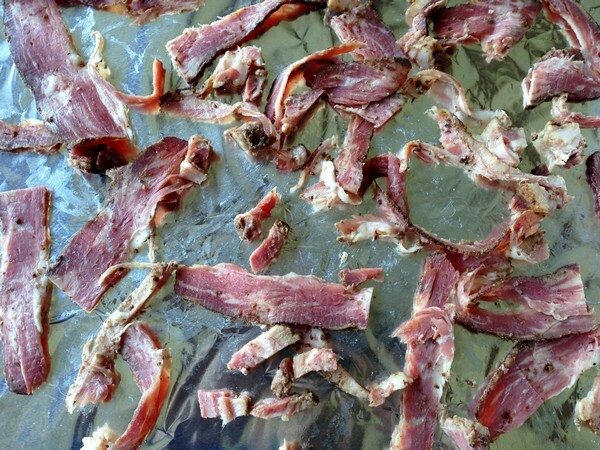 Lay the pastrami flat on a small foil-lined baking sheet and roast until crisp, 10 to 15 minutes. Transfer to a paper towel, cool, then crumble into about 1” pieces. Cut the cabbage into 4 wedges through the root end, leaving some of the core intact on each piece so the wedges don’t fall apart. 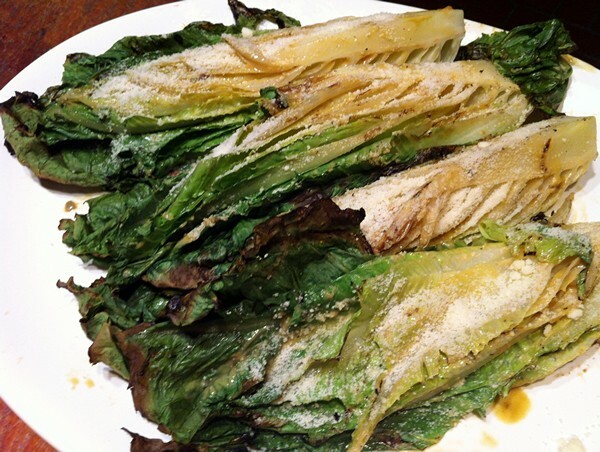 On a large foil-lined rimmed baking sheet, coat the cabbage wedges with the oil and season with salt and pepper. Put the wedges on a flat side and roast until browned on the bottom, about 20 minutes. (Don’t worry if the outer leaves begin to burn.) Flip each wedge and continue roasting until the second side is browned as well, about 10 minutes longer. Remove from the oven and let cool slightly. Spread about a tablespoon of the blue cheese dressing on each of four serving plates. 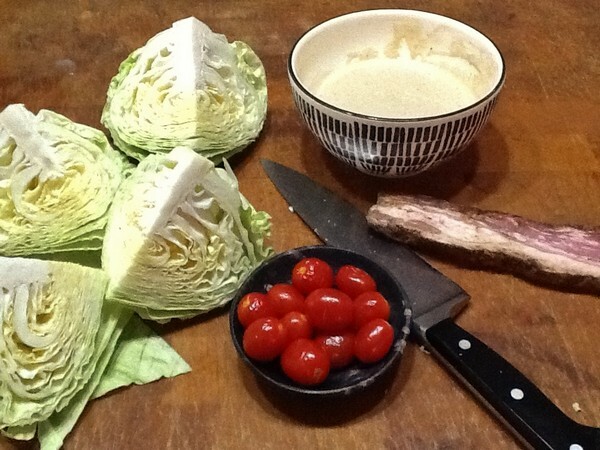 Place a cabbage wedge on top and drizzle with more of the remaining dressing. Scatter the pastrami, tomatoes and chives over the wedges and garnish with the tomatoes. Serve and enjoy! My verdict: I probably came late to the table on roasting/grilling leafy greens, and am trying to make up for lost time. I did roast the cabbage in the oven, and then stuck it on the grill to give it a little more flavor. 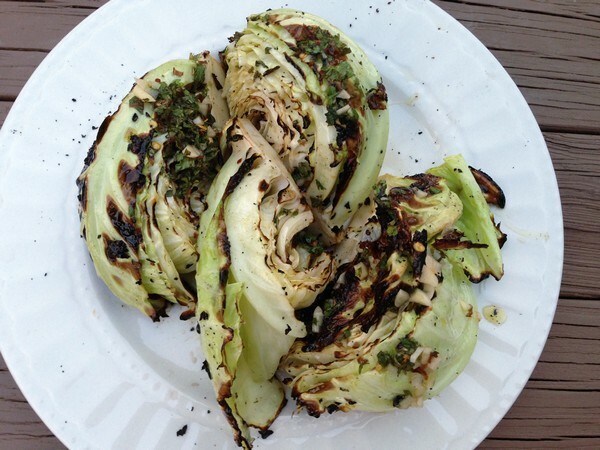 It was delicious – the cabbage was a little warm and sweet from the roasting. It’s a good blue cheese dressing and if you want to spice it up more, just add some more Sriracha. The pastrami was good mixed with the dressing because of the spices coating it, but bacon would be a fine substitute. If you were short on buttermilk, some plain yogurt or sour cream would work, just taste it before adding too much. Give it a try and let me know what you think, ok?